Jared Shoupe may have grown up around wine, but he certainly didn’t think he’d end up as the Good Eggs wine guy. I sat down with our resident cheese, coffee, beer, wine, and spirits expert to chat about the newest additions to our bottle shop, uniquely crafted California wine and beer, and why supporting the little guys matters so much. Why don’t you tell me a little bit about how you ended up in the world of alcohol and how your love and interest of it has grown? My father and uncle were both hobby winemakers, so wine was always on the table in our household. Every Thanksgiving morning, we’d bottle wine for my uncle’s small garage winery and I hated it–hated wine. I always thought to myself, “I’m never going to do that.” I ended up going to school for music actually, but eventually dropped out and got a job at a cheese counter in the East Bay. There, I was learning more and more about beer and wine and spirits, just cause it was part of the job. I took a stab at bartending a few times–for caterers, breweries, beer bars, and a wine bar for a little while. With those experiences, I began to learn more about the products, as well as the people behind them, and finally really understood how special wine is for the first time when I was about 24. Was there any specific experience that really brought you back into the world of alcohol after your musical intermission, so to speak? This is a little bit of a funny story. When I was 21 and just started getting into the business, I didn’t know much about beer. I had a coworker suggest a beer from North Coast Brewing—their Old Stock Ale. It was kind of pricey, but I said alright, fine. I’ll buy it. Whatever, it’s pay day. I sit down, drinking this beer, and just really getting into it. I remember all these unique, interesting flavors. There’s cool caramelization going on; there’s interesting sherry-like oxidative qualities; there’s all sorts of nuttiness. I ended up drinking four of them not knowing that the beer is 12% alcohol. I got up, realized that I was drunk, fell down, and broke my coffee table. But! Long story short: That beer, and the excitement that came with drinking it, got me back into the industry while I was working in cheese. So how did you decide to come work somewhere like Good Eggs? You were on a very different side of alcohol before — more on the brewery side? Before I came to Good Eggs, I was managing retail in the Specialty Department of Whole Foods in the East Bay: cheese, beer, wine, spirits, and coffee. 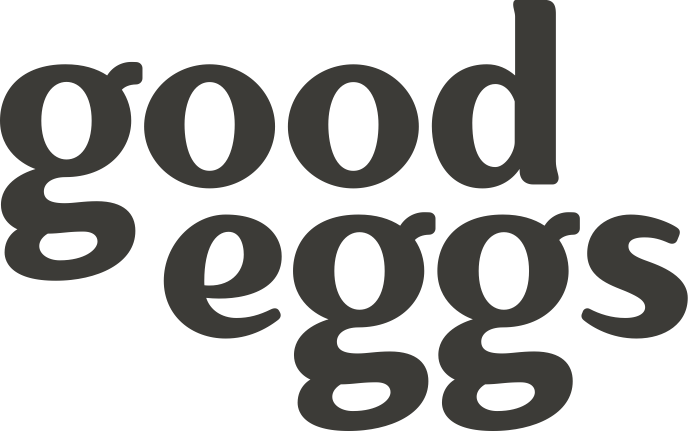 I was really enjoying my work at Whole Foods, and actually had a really great opportunity there that I was planning on pursuing when Jamie Nessel, another Whole Foods vet and current VP of Grocery at Good Eggs, approached me to ask if I would be interested in talking to her about this cool new thing she was working on. We met up at a wine bar and chatted about Good Eggs. The more that I talked to her about what Good Eggs was doing, and the mission behind the brand as well as the the passion of the people here, the more I had trouble saying no to her. The more I got to know Good Eggs, the more excited and eager I was to work here. For the people who don’t really know the behind the scenes of Good Eggs, what exactly do you do? Most of my job is working with producers and vendors and figuring out what our specialty assortment is going to be — what brands and products makes sense for us and for our mission? What we’re trying to do, who we want to be and what we want to represent is ultimately communicated via our assortment. I’m the one who’s going out and interviewing winemakers, brewers, coffee roasters, cheese makers, and, soon, distillers to find out who they are, where they source from, and why they are doing what they’re doing. I learn as much as I can about each and every one before deciding whether it makes sense to carry them on Good Eggs. You just mentioned our sourcing standards, which we hold very near and dear to our hearts. They make Good Eggs what it is. How do you apply the picky Good Egg standards to alcohol? Our first tenet is to keep it local whenever possible. With wine, the idea of terroir and sense of place really does make a huge difference, and there’s no way I can get a French wine by way of California. So we import select bottles, but keep our assortment roughly 80% local. I have a hard line expectation of how makers outside our local area are farming and treating their people. For example, I was looking at a winery in Chile that had great farming practices and sourcing expectations, but we had to turn them down because they couldn’t tell me about their labor practices. If we can’t support everything that we believe in and put our money where our mouth is, we’re not staying true to who we are. If we can’t support everything that we believe in and put our money where our mouth is, we’re not staying true to who we are. When it comes to beer, things get a little more interesting.Two of the main ingredients of beer are all controlled by basically 15 large companies — all of the malted barley and hops are coming from a few places on the planet, and everything is consolidated. So, we adapted how we vet these producers: more focus on who the brewers are, how they’re processing their product, how they’re treating their people, and what good projects they’re working on. We’re working with a brewery in Oakland that’s running all of their delivery vehicles—as well as the burner for boiling their liquid—on biofuel that they make in house with the leftover fry oil from their restaurant accounts. Wow. What company is that? It’s Ale Industries. That’s the brewery I used to work for, too. We also carry Sierra Nevada, one of the largest American-owned beer makers. But, they’re also still family-owned and operated, and do great things for the people that work for them. When I started talking to them, they sent me a 35 page book on every effort they take to sustain and support the environment. Once we get outside of those base ingredients for beer—like the barley, the hops, the yeast—and get into things like herbs or fruits, I do have expectations that are pretty similar to our produce standards. I’ve had to turn down a lot of makers’ fruit beers because of those high standards. We only have one year-round fruit beer from Eel River that we’re selling because it’s so challenging to do right, but we have a few seasonal ones from Almanac Beer Company right here in San Francisco. I love their Strawberry Basil Sour. They’re doing all sorts of cool stuff. They actually release two new sours every month, which we will be stocking, and Strawberry Basil was definitely one of them. But they’re working with a lot of the same farmers that we work with for their fruit beers. I’ve had a couple of really impassioned conversations with the owner, Jesse Friedman, about local agriculture. He’s really, really passionate about it. His wife also runs a Bayview nonprofit based around local agriculture and teaching kids how to cook and eat seasonally. It’s super cool. How do these strict standards affect sourcing hard cider? Cider is a huge challenge for us because a lot of cider companies, I’ll be honest, will not tell me where their apples are coming from. So the cider producers that we’re working with are fairly limited. Three out of four of the producers we work with currently are estate, which means the apples are coming from the farm that is owned by the cider maker. The fourth producer has been able to tell us exactly where all their apples come from. What are you drinking at home right now? Let’s see. Last night I had a Puck petite saison, which is a really hoppy Belgian session saison from North Coast Brewing up in Fort Bragg. I also tend to drink a lot of bourbon, calvados, armagnac, rhum agricole. I like to drink a lot of wines that are coming from northern Italy, northeastern Spain, southern France, Alsace, Germany and really high elevation rocky soil terroir in the U.S.: places like Santa Ynez, Santa Cruz Mountains, and Murphys. With beer just going up do you have any new products you’re excited about? We’re carrying Ghost Town Brewing Company, which is a tiny, tiny brewery out of West Oakland that’s doing some really cool stuff. Right now they’re basically brewing in a glorified home brew system. I literally have a home brew system myself that can make half the amount of beer they’re making commercially. But they’re about to expand into a much bigger facility, and they just brought on a new brewer so Ghost Town can bring their unique beer to a larger customer base. I’m also really excited about the opportunity to work with the local spirits community in the near future. There are some really interesting makers popping up. Everyone knows Saint George and Alameda and they should — they’re fantastic. But there are also smaller producers like Osocalis in Soquel, making superb brandies. There’s a lot of exciting stuff going on in the Bay. Everyone who works here at Good Eggs wants to reinvent the food system, for good. What does that mission mean to you and your pursuits here? I’ve been in this industry for over a decade, realistically almost two, and I’ve learned more about the industry at a how-it’s-made, where-it-comes-from level in the last seven months I’ve been at Good Eggs than in my past 12 to 13 years of experience. That’s incredibly important because there needs to be a level of trust between us and our customers–that they trust us to bring them the very best from the farmers, the producers, the bakers, the winemakers, and the brewers. Those are the honest, crazy hard-working people with a lot of integrity that get pushed by the wayside for this giant dishonest conglomerate that we call “food.” Highlighting those producers, supporting them, showing their passion and letting people know that there’s better way is a really strong and important message for me. So it’s about people for you? Yeah, it’s a lot about people. It’s the same as supporting a local band, artist, bookstore. It’s about the people with integrity who haven’t quite made it big–supporting them in what they’re doing, giving them a bigger voice. Get to know the rest of the Good Eggs team, here. And shop from our new Bottle Shop, here.